Fr. 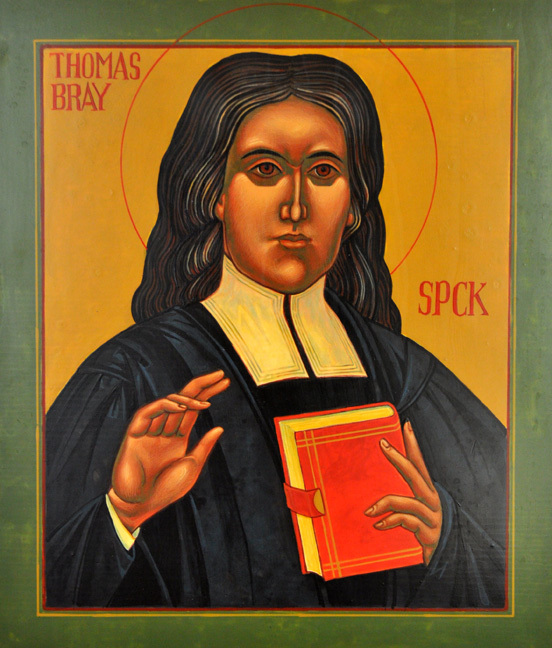 Thomas Bray was an Anglican priest who was sent by the Church of England to establish command and control of the Church in the colony of Maryland in the late 17th century. The Bishop of London picked Fr. Bray because of his emphasis on education. However, Bray also became interested in the Church’s role in the enslavement of American Indians and Africans. Bray believed that an educated clergy is the central piece of having the Gospel message spread and the effectiveness of the church maximized. I agree wholeheartedly. All too often, educated clergy are viewed as out of touch. We are told that educated clergy are not able to understand the church in the 21 century. We are pressured to abandon sound theological teaching and embrace quick, short, catch phrases to haphazardly explain complex doctrine. And if there is a situation where the doctrine is difficult to embrace, we abandon it altogether. Currently, one of the authors I’m reading is the Evangelical Theologian, A. W. Tozer. Although he is critical of many Evangelical churches, his criticisms are true of all of Christianity. Many parts of the Church are based up a doctrine of milk, and not meat. As a result, we do not fully understand the injustices of the world. We write off complex world issues as “us vs. them” or that is its “their problem” and in actuality, it should be OUR problem. If we truly understood concepts like “love thy neighbor” than we can address world injustices. We can address domestic shortcomings. Until our faith becomes one of both spirit and knowledge, we will remain based on milk.